To see all our colours in the flesh order a Fabric Swatch Card. Some Sample Dresses are available to try at home so that you can check style and sizes with your bridesmaids. Multiway Maxi dress for girls aged 2 to 12 years old that can be worn 5 different ways. 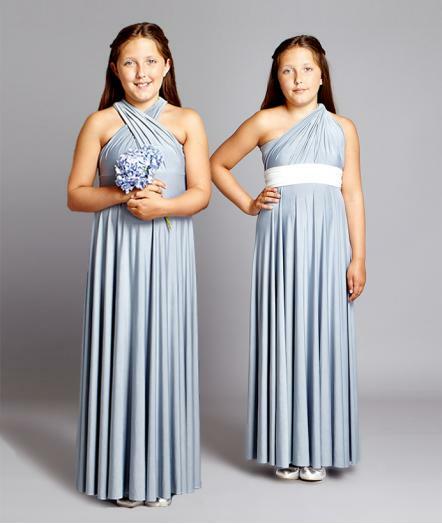 Cute and Practical, this multiway dress can be ordered in any of our colours to match with the adult bridesmaids. The maxi skirt has a beautiful swoosh and the fixed straps and built in bandeau top make sure the dress stays in place. The skirt length is 60cm on the XSmall, 70cm on the Small, 80cm on the Medium and 90cm on the Large. 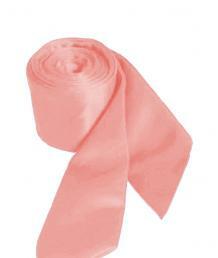 You can order 10cm extra length if needed. For bespoke length select +10cm and write in the notes at the checkout the specific length needed. Add a Flower Girl Sash in the colour of your choice to finish the look.